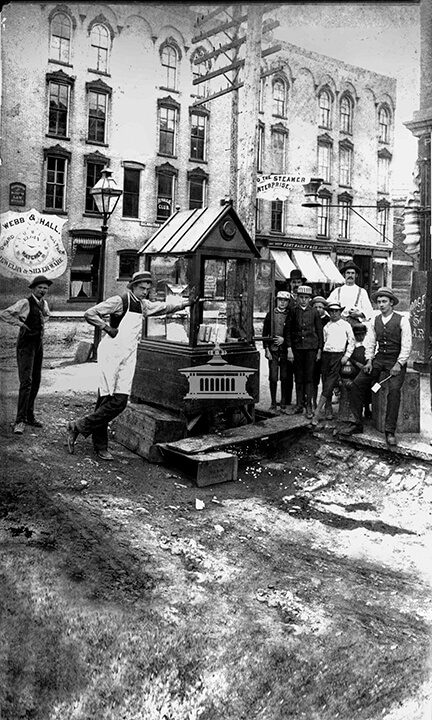 Circa 1884-85, a popcorn stand operated by Wang (wearing an apron) and Will (seated on box) Dillon was located at the northwest corner of Main and Milwaukee Streets. 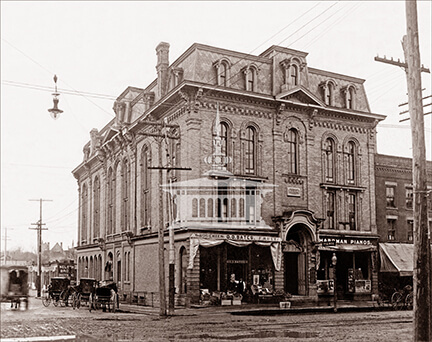 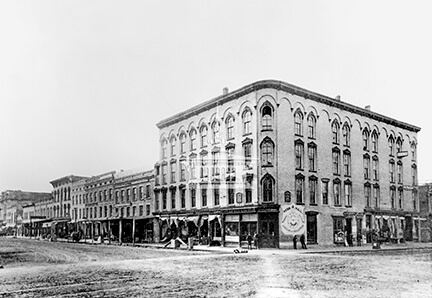 In the background is the Lappin block, featuring Webb & Hall Reliable Jewelers, the Republican Club, Carpenter & McGowan Law Offices, Bort & Bailey & Co. Dry Goods and Carpets, and the Collins Music Store. 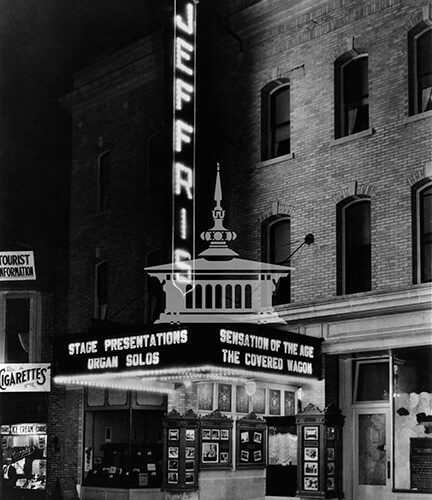 Also visible is a sign pointing to the North Main Street landing where the steamer, “Enterprise,” would leave for excursions upriver to Crystal Springs.